It was in November 2015 when my husband and I decided to leave our hometown Barcelona to start a new adventure. 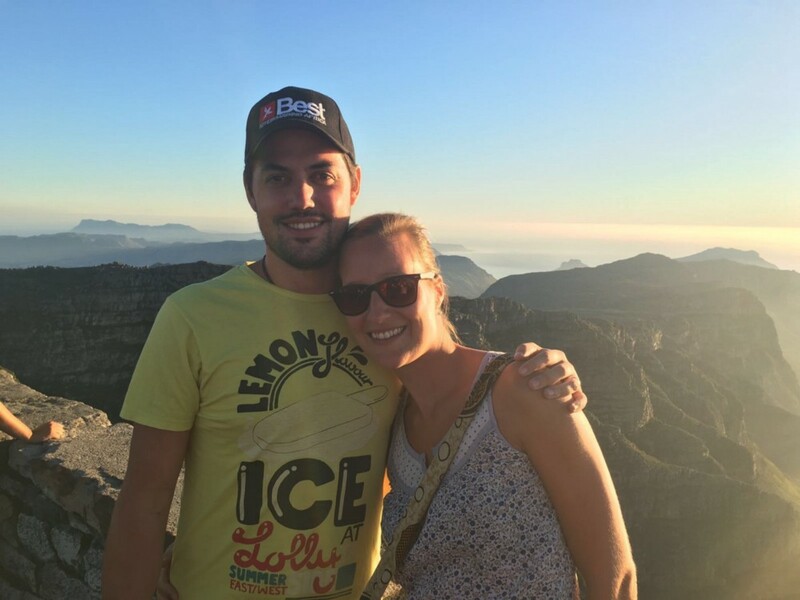 After spending some really good quality time with family and friends in Belgium during the Christmas holidays, we moved to Cape Town, South Africa, as our first destination of a one year trip around the world while working remotely. Now, two months have passed since we arrived here and it’s my pleasure to share our story of Cape Town with you. I would like to highlight that it’s all about ‘our’ experiences during this 2-months’ stay in the Mother City, so take this as a guideline of our tips and tricks to get the most out of this wonderful city but please know that there is a lot more to explore! I must say that I hadn’t done any homework before settling down in Cape Town. Shame on me because South Africa in general has such a rich history one must read about before arriving here. If you are like me and you prefer to find out more about the history of Cape Town while you’re here, then you should definitely join one of the free walking tours through the city. You can choose whether you want to stay in the city centre or go to Bo-Kaap, District Six or discover some other neighborhoods. It’s a great way to learn more about the city from a local expert. Did you know that there’s a piece of the Berlin Wall in the city centre? I didn’t know either but this is just one of the secrets that you discover during this tour. It’s a free walking tour so they don’t charge you anything but at the end of the tour, a well-deserved tip is a nice way to recognize their job. Once you know more about the city, you are ready to immerse yourself in the colorful streets of the city centre. Long Street is the most famous one (and the longest) but Loop Street has some fancy places as well. Start your evening with a drink in one of the many bars that have a balcony overlooking the dynamic life in these streets, you will feel the vibe of the city. For dining, there are so many options that it’s impossible to name some but as a tourist Mama Africa is worth a visit. Go for a drink and enjoy the life African music or try the wild game platter (a mix of kudu, crocodile, springbok, ostrich and venison). For the non-meat lovers, there are plenty of other nice dishes as well! 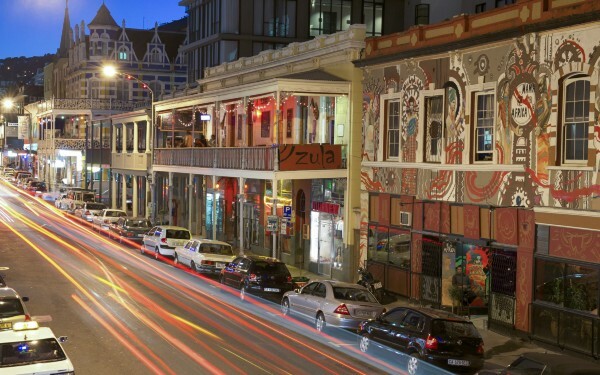 Fork, also on Loop Street, is a delicious tapas place with a South African twist you can’t miss either! You’re lucky if you’re in Cape Town on a first Thursday of the month so you can go to one of the many art galleries that stay open until late on the First Thursdays. Make sure you book a table in advance if you want to dine out that night as all bars and restaurants are quite crowded. 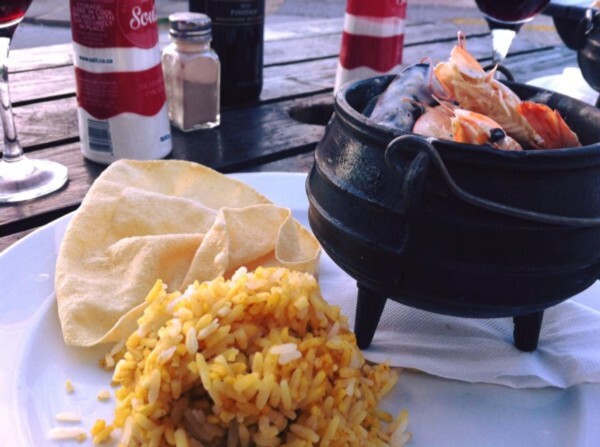 More in general, always try to book a table in advance if you want to go out for dinner in Cape Town. Especially during summer months, you will be surprised how fast a restaurant can be fully booked. For the romantic people amongst us, there are several very cool places to enjoy the sunset (and have a drink or dinner at the same time). Dolphin beach is one of them. You can also go to Blowfish restaurant which is at Dolphin beach and order some sushi (half price on Sundays and Wednesdays) while watching the sunset. 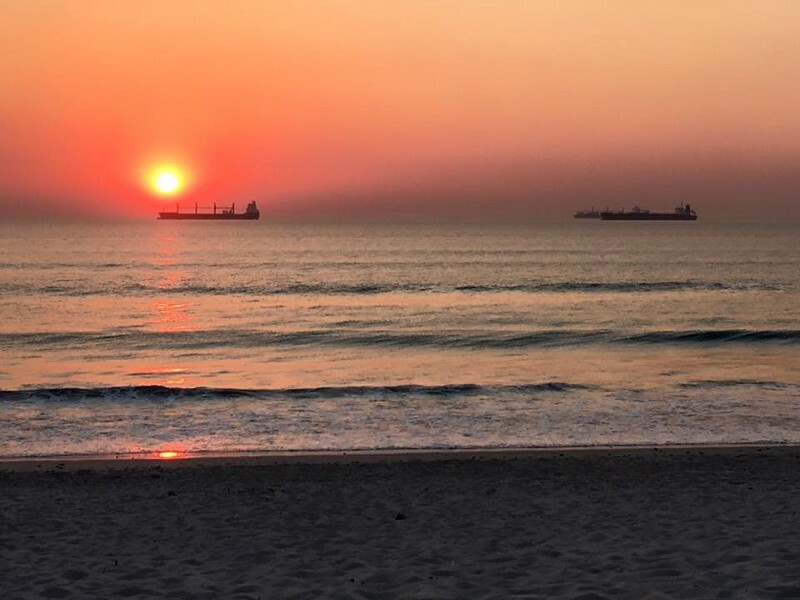 On Small Bay beach, you will find Ons Huisie, a very casual but lovely place to have some good South African dishes like potjie, bobotie or malva pudding. Another great spot to enjoy the sunset! 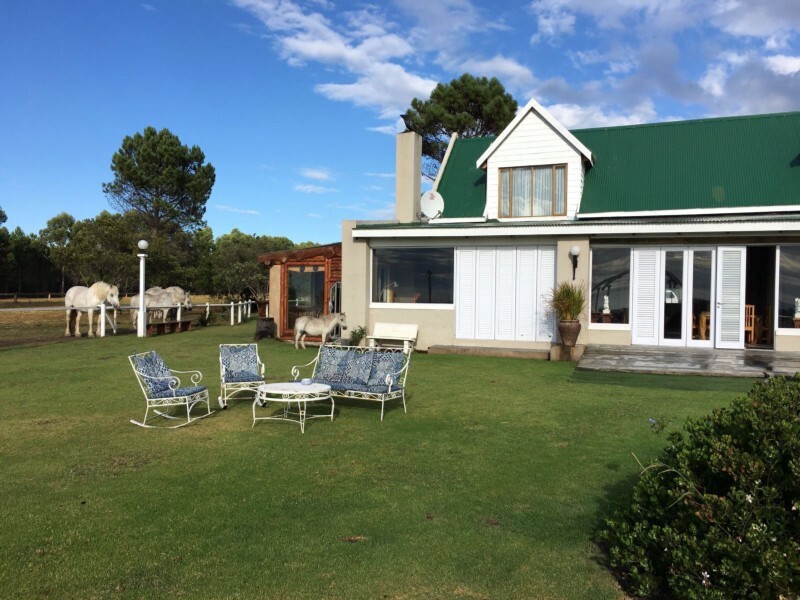 A very fancy place in Cliffton, near Camps Bay, is The Bungalow. Have a drink in the lounge area (make sure you arrive early as place is limited and you cannot reserve) and overlook the Twelve Apostles Mountain Range while the sun goes down. The perfect way to relax after a stressful working day! Or, why don’t you take the cable car up to Table Mountain with the sunset promotion tickets? Only if the wind is not too strong, of course. Book your tickets in advance to avoid cueing and if the cable car is closed, you will get your tickets reimbursed. 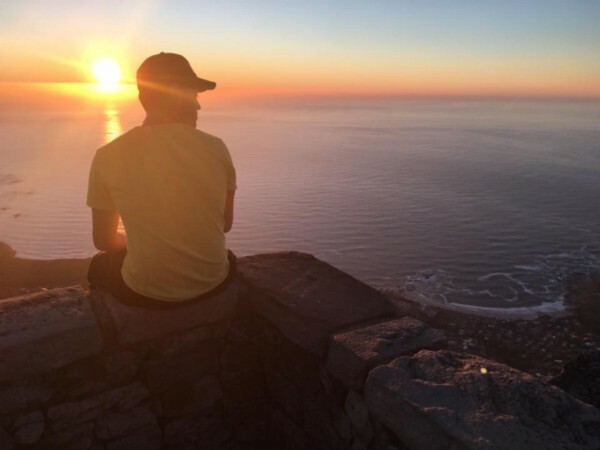 If you are wondering how to get the most out of your weekend in Cape Town, then you’ll just have to choose some of the many activities in Cape Town or its surroundings. A good way to start your Saturday morning is to hike to the top of Lion`s head or Table Mountain, one of the new 7 wonders of the world. If you’re visiting Cape Town in the summer months (Dec-Jan-Feb), then it’s recommendable to start early in the morning to avoid the heat. 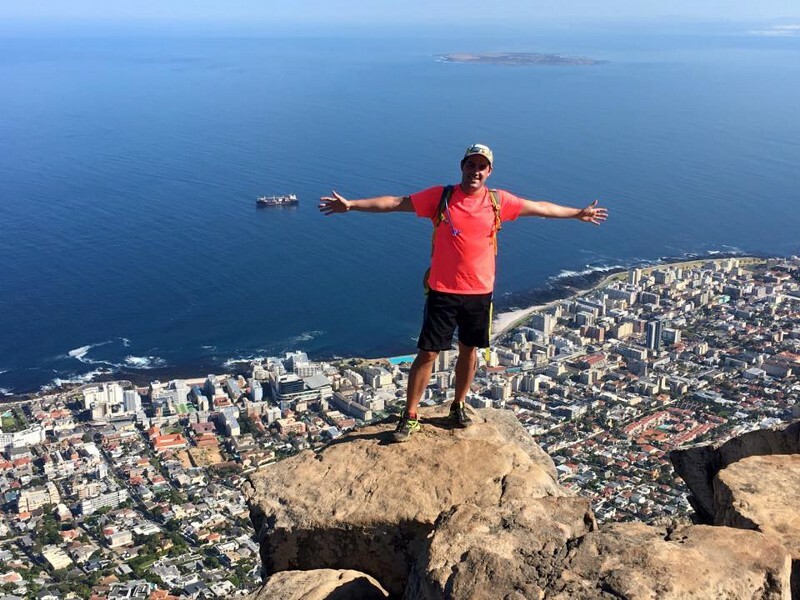 The Lion’s head hike takes about 1 hour and gives you a breathtaking view of the Mother City, absolutely stunning! Table Mountain hike is more intensive and you will need between 1h30 to 3h (depending on your shape) to reach the top. The good news is that you can take the cable car down (as long as the wind is not too strong) to stretch your legs while enjoying some amazing views of the city. Now that you’ve started your weekend with some sports, you definitely deserve a nice breakfast and I would recommend you to go to Camps Bay, just about 15 minutes drive from Lion’s head or Table Mountain. It’s one of my favorite beaches (and one of the few beaches in Cape Town where you can take a sunbath without feeling the wind blowing the sand in your face) although you’ll have to bear the water, it’s freezing! Go to La Belle Bistro & Bakery and get some eggs Benedict, flapjacks or grab a light lunch. Food is great and the views are amazing! 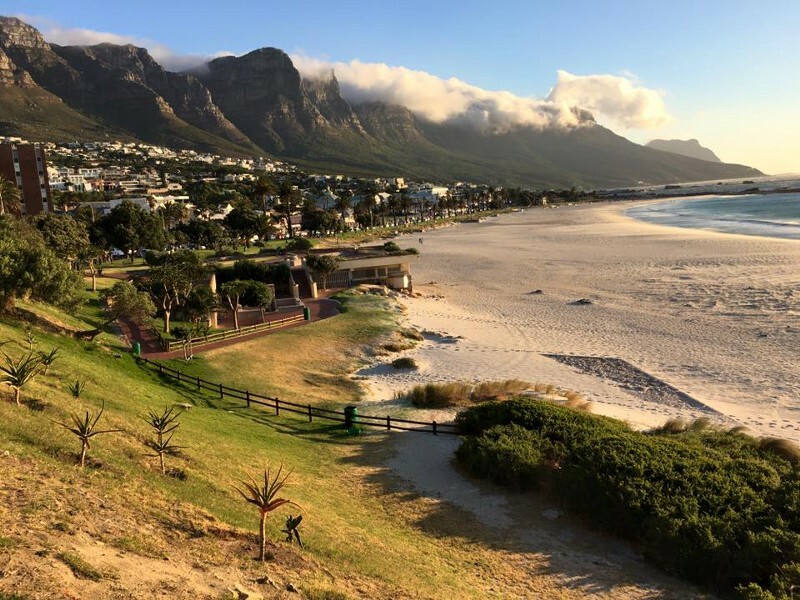 For a lighter run you can go to Blouberg beach where you can run along the beach with a spectacular view of Table Mountain. Go there for a morning run and you will feel blessed by its beauty! 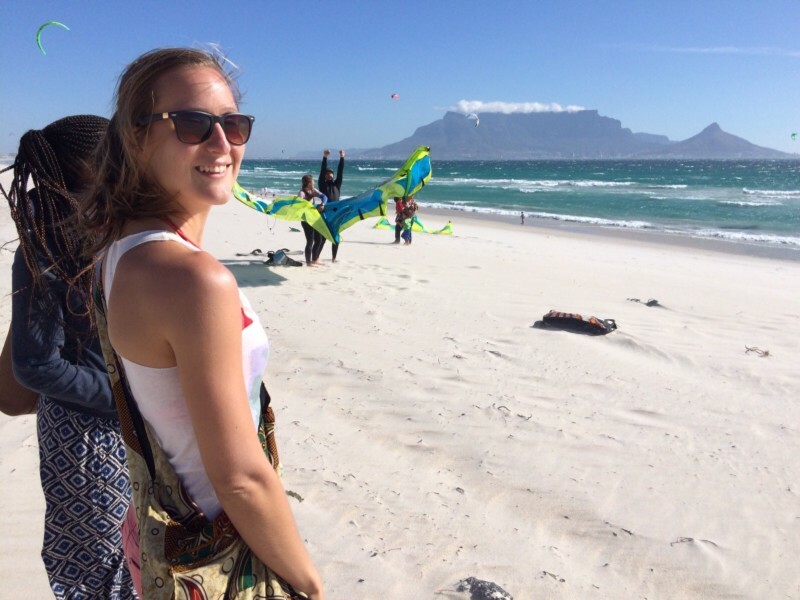 It’s one of the preferred beaches for kite surfers as well, besides Big Bay beach. The latter one is the annual venue for the Red Bull King of The Air where the 24 best kite surfers of the world gather together to impress the public with their high jumps. If you are not a sporty type, then Cape Town still has so many other activities to offer you! Why not starting you’re weekend at the Old Biscuit Mill Market in Woodstock? It’s an indoor hipster market with a huge variety of food, too much to choose! It’s similar to the Palo Alto Market in Barcelona for those of you who have been there. Just take a coffee or a smoothie and grab some food so you get energy for the rest of your day. 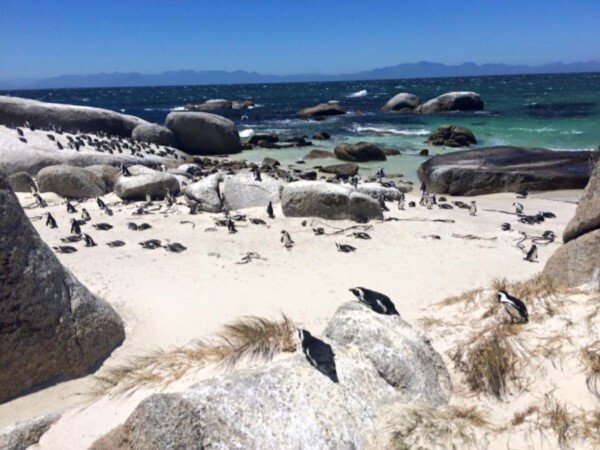 You can continue your trip by driving to Boulders beach to watch the penguins on the beach (but don’t get overwhelmed by the amount of tourists). 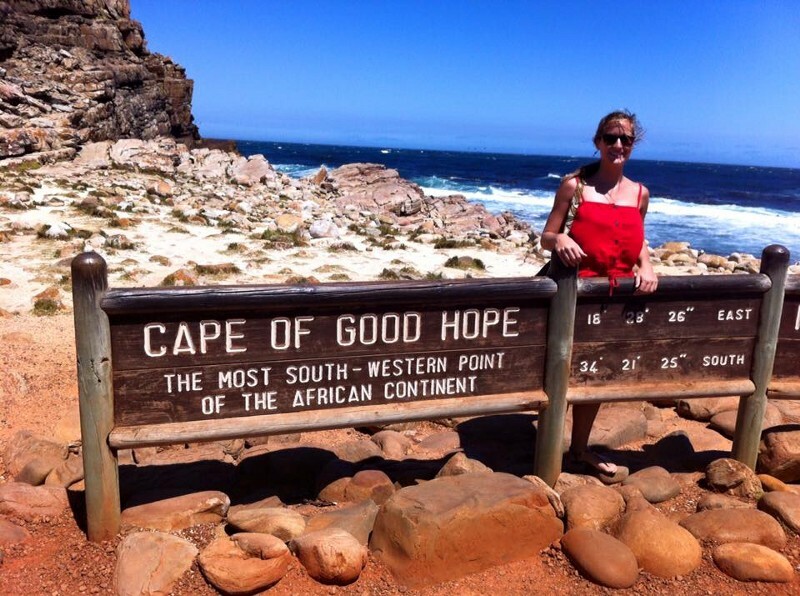 Follow the route until you get to Cape Point, a nature reserve at the most south western point of the African continent and declared Natural World Heritage Site. Pay the entrance fee and drive all the way until you reach Cape of Good Hope. Climb to the top and you will have some amazing views! Now, if you prefer to chill out a little bit during the weekend and you are a wine lover (like us) then you’re in heaven! Go and taste some South African wine! You can choose whether you want to go to a wine estate in Paarl, Stellenbosch, Franschhoek or Constantia or just combine several of them and go on a wine trip. It’s worth a visit, not only for its wine but also for its beautiful landscape. Our first wine trip brought us to Paarl and Stellenbosch and was organized by WineFlies. In just one day we visited 5 different wine estates. Villiera Wine Estate and Annandale Wine Estate are worth mentioning due to their lovely setting and their great wines. 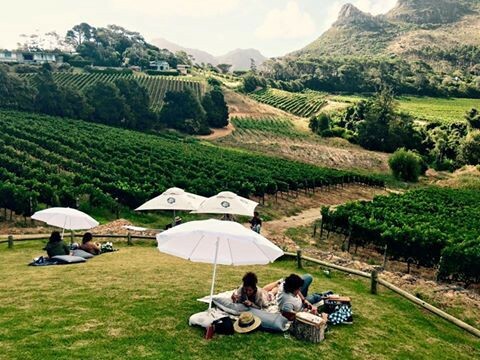 Closer to Cape Town, I would definitely recommend you to go to Constantia Glen Wine Estate. As it lies next to Kirstenbosch National Botanical Garden where you have concerts every Sunday during summer, it’s nice to start with a picnic at Constantia Glen and then go to the concerts but make sure to book your ticket in advance as the concert is sold out quite fast. You can also organize a wine tour by yourself and choose the wine estates you want to visit. That was our second visit to the wine estates. 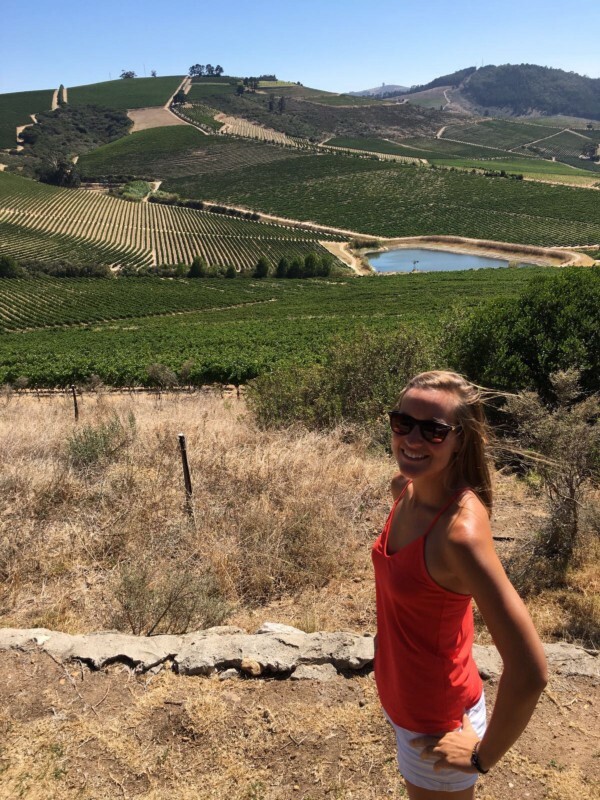 I would definitely recommend you Jordan Wine Estate! You get a safari-style drive through the vineyards and enjoy some great wine with an amazing scenery. For lunch you have a lot of options as many wine estates offer you a picnic basket. We stopped at Warwick Wine Estate for a nice lunch break. In the afternoon we visited Marianne Wine Estate where we got a biltong-wine pairing. Some of you probably have never heard of biltong and I hadn’t either before arriving here. It’s the typical South African dried meat. Tastes good but with wine it tastes even better! To get a complete overview of the wine estates in South Africa, I refer to Fran’s article. All these wine estates are quite close to each other so we decided to share an Uber with some friends and got a super friendly old driver that even took us back to Cape Town. Not only this taxi driver was nice, no, in general, people here are very friendly. I would say that they are more relaxed than in Europe and they know how to enjoy life. A typical Sunday here is braai day (Afrikaans for BBQ) with family and/or friends and of course, with some wine as well. A good example of the Capetonian hedonism is the Cape Farmhouse Festival we went to during our first weekend here. It’s all about hanging out with family and friends while shaking your body on the vibes of the music and having a fresh beer or a gin-tonic. And yes, kids and pets are more than welcome as well, it’s family time. In those events you would sometimes forget you’re in Africa. Same for the Gin and Tonic Festival we went to. The hard reality is that South Africa is much more complicated than that and unfortunately you still see and feel the difference in race and colour. Remember that Apartheid was only abolished in 1994. But what differences us also brings us together. That’s why South Africa is such an interesting country. 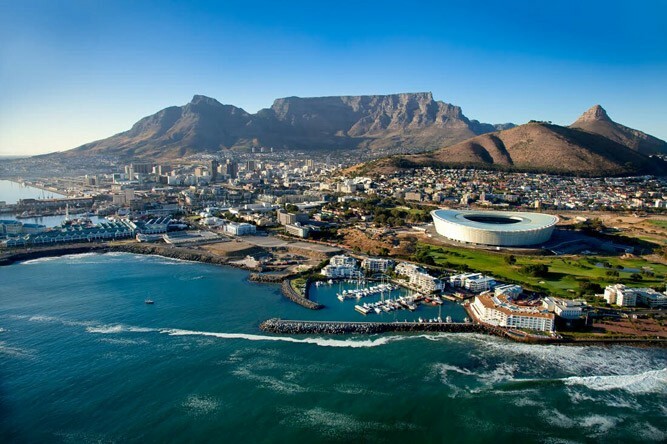 Did you know that South Africa has 3 different capitals and 11 official languages? Again, you start to discover so many things about this country while you’re living here. Now, if you’re coming to South Africa as a European, either for leisure or for work, you will definitely notice that the cost of living is much cheaper than in Europe. According to this article, South Africa is the cheapest country in the world to live and retire. I would rather say that it’s cheap to live as a foreigner but not for a South African. Anyway, if you were still doubting if South Africa could be your next travel destination, then this might have convinced you! If you only have a couple of weeks of holiday to spend in South Africa, then you should definitely add the Garden Route to your trip. A must for nature lovers! 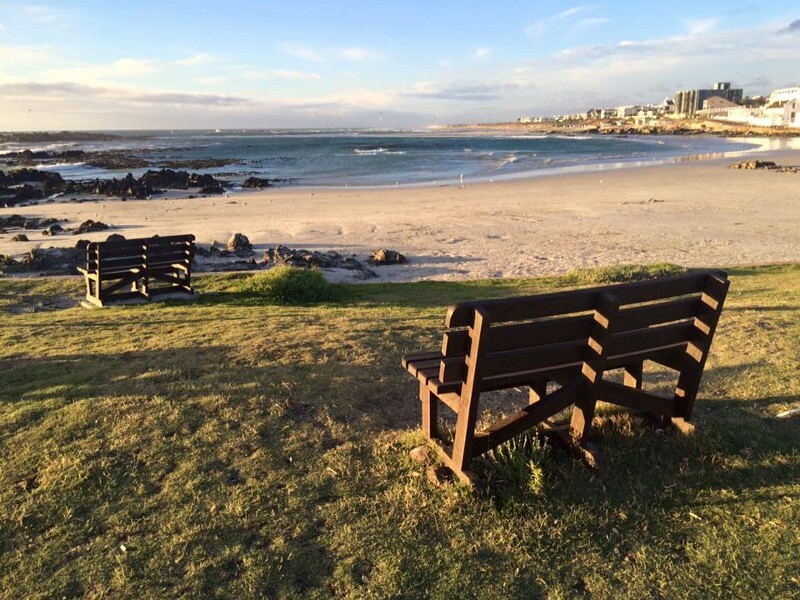 It’s a beautiful stretch along the coast which extends from Mossel bay to Storms River. We did the entire trip with our car but alternatively, you can also take the plane to George, in the middle of the Garden Route. If you like hiking, then you have plenty of options. 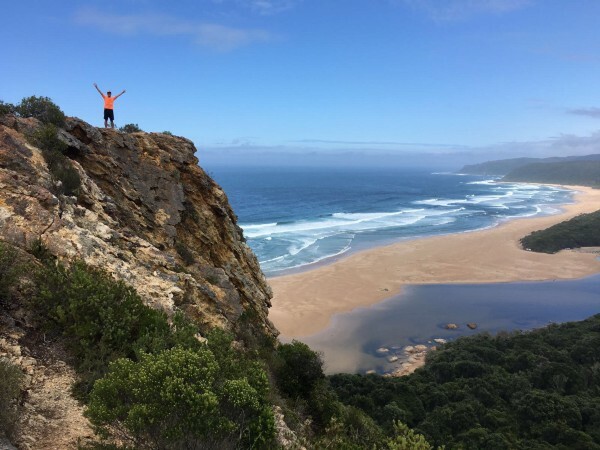 We’ve done an incredible hike of about 3 hours and a half in Robberg Nature Reserve. It’s one of my favorite hikes ever, I don’t have words enough to describe how beautiful it is! Close to Robberg, you have another beach, Natures Valley, situated in the Tsitsikamma National Park. The famous Otter Trail, a walk of 43 km ends here. Try to get early to Natures Valley. We arrived there around 10h and there was no one on the beach. We climbed up to Pig’s Head, a very short hike of 30 minutes but absolutely amazing. It brings you to the perfect spot where you can overlook this wonderful beach. Robberg and Natures valley is an ideal combination for a one day activity, especially because we were staying in T´Niqua Stable Inn, a unique guesthouse close to Plettenberg and just 5 minutes driving from Robberg. If you want to end your day with a great Italian dinner with sunset view, then Enrico restaurant in Keurboomstrand is very recommendable. 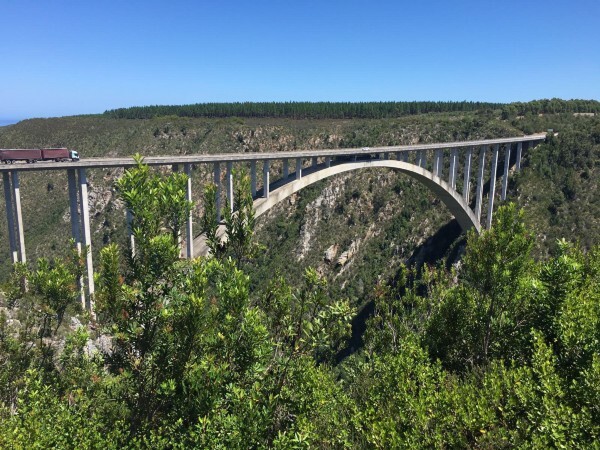 For the daredevils amongst us, take a stop at Bloukrans River Bridge, between Plettenberg and Storms River, which is the world’s highest bungee bridge if you need a shot of adrenaline. If you prefer the safer option, you can also watch the bungee jumpers, it’s great to see as well. Once you arrive at Storms River, head down to the bungalow park to start the Waterfall trail. It’s not as steep as the Robberg hike but the scenery is pretty amazing as well! It varies all the time, from bushes to a white stone beach until you reach the waterfall. If we would have had more time, we would definitely have visited the Storms River suspension bridge as well but you always have to leave some activities for a next visit, isn’t it? 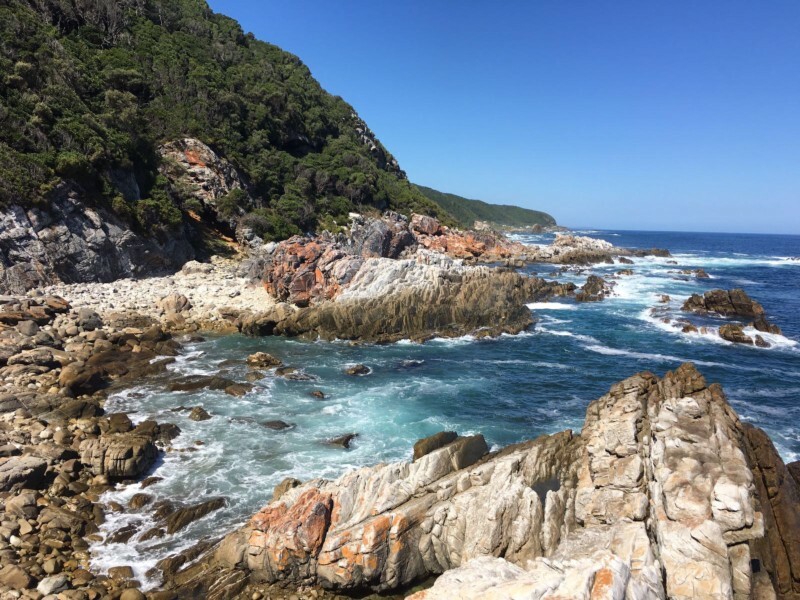 Wilderness, Knysna and Plettenberg are undoubtedly the most visited places along the Garden Route. That’s why we decided to take another route on our way back to Cape Town, through the inland with an overnight stay at Oudtshoorn. 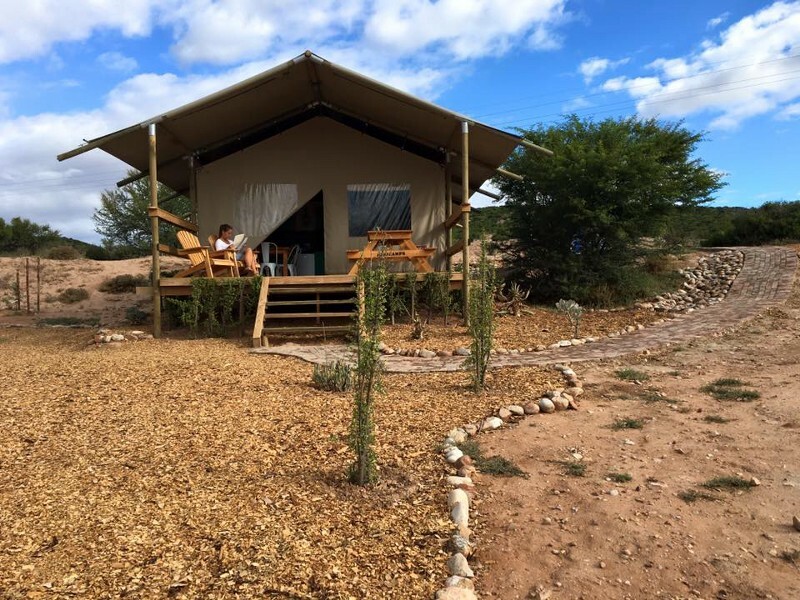 It’s famous for its ostrich farms and the Cango caves but we just wanted to relax a little bit after a long drive from Jeffreys Bay so we went immediately to our tented camp, Africamps Klein Karoo. It’s about 4 hours and a half from Cape Town but it’s absolutely worth visiting! The property opened a couple months ago, in October 2015 so everything is still new. If you like to go camping but you rather prefer the commodity of a hotel, then glamping — glamorous camping — is what you are looking for and Africamps is the place to be. We were offered the braai package, including ostrich and venison, which you can prepare by yourselves while having a glass of wine. On our way back to Cape Town, we drove along Route 62. It’s a tourist route in the Western and the Eastern Cape that will take you through Klein Karoo, a semi-desert natural region, to the wine regions of Montagu, Robertson, Wellington and Paarl. The city of Cape Town and the Garden Route are just some of the many travel options in South Africa. Apart of my suggestions, I would also add Kruger National Park to my to-do list. It’s a great place to see the big 5. I could keep on going but this is just our 2 months in a nutshell. There’s so much more to explore but I feel lucky that we’ve taken this opportunity to discover some places of this amazing country. Feel free to contact me or Fran in case you have any practical issues or doubts if you’re planning a trip to Cape Town, we will be more than happy to help you out! Bye bye Cape Town, tot siens!